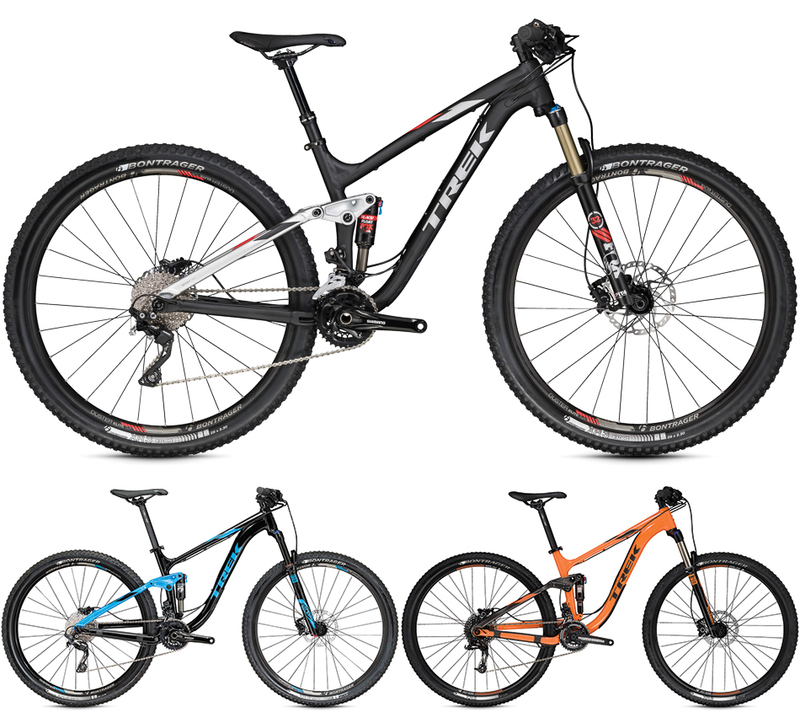 Trek has updated its bread-and-butter trail bike, the Fuel EX, for 2016 with some pretty exciting changes. A few of Bike's editors had the privilege of sampling the new Fuel EX 29, dressed in its highest-end 9.9 spec. It's no surprise that a bike at this price level impressed testers, but you'll find the same razor-sharp handling, efficiency and pure fun factor we experienced in four new Fuel EX 29 models for 2016, starting at around $3,000. 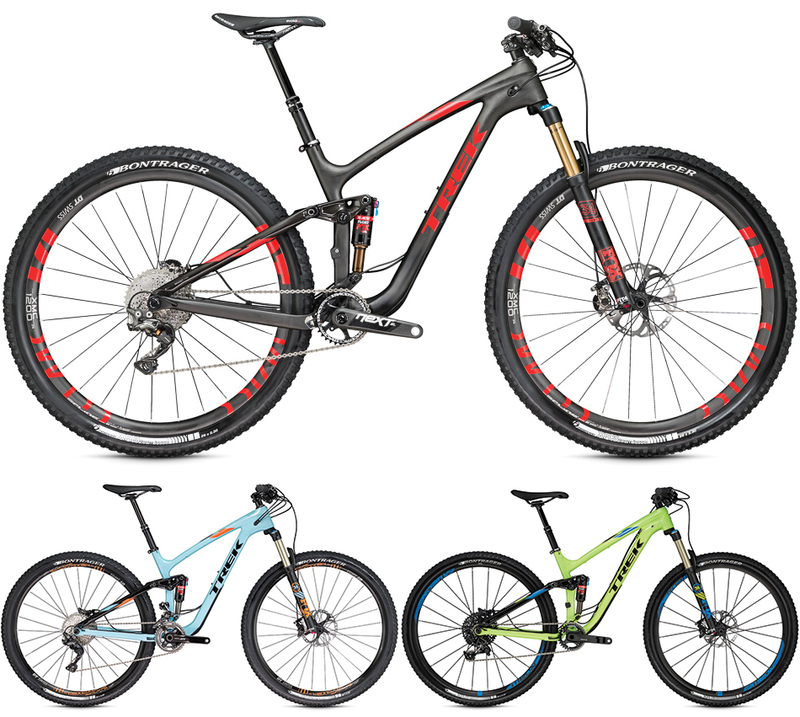 In addition to the Fuel EX 29, Trek rebooted their XC lineup with two new bikes. Check them out here. Before getting into the updates, let’s be clear where you'll be seeing them: the top four Fuel EX 29ers. Trek developed a carbon frame for the Fuel EX 9.9 and 9.8, and an alloy frame for the Fuel EX 9 and 8. Trek’s new 2016 Fuel EX 9.9 29 is one of the fastest, yet most capable trail bike’s we’ve ridden this year. Bike’s online editor Jon Weber enjoys a day away from the Interwebs. When we learned about Boost 148 last year and 110 this year, we had a feeling these technologies would make their way onto the Fuel EX. The Remedy 29 is a fantastic bike–one of our favorites–but Trek sells more Fuel EXs. It only makes sense to bring the benefits of stronger wheels and frame, shorter stays and more tire clearance to a trail platform. Speaking of shorter stays, the chainstays on the 2016 Fuel EX 29 shrink significantly from 452 millimeters to 437 millimeters, making the bike handle tight terrain even better than before. Boost front and rear. Yes, it’s a new standard, but it’s pretty awesome. From the factory the EX 29 will be set in the low position with a 68.8-degree headtube angle and 334-millimeter bottom bracket height. Riders who want a more XC feel can steepen the head angle a half degree by flipping the Mino Link into the high position to achieve a 69.4-degree head angle. You might notice that the shock looks smaller than the ones sporting Trek's proprietary DRCV shocks. What gives? Fox's new Float EVOL (extra volume) shocks match the linear spring curve achieved by the DRCV air cans. According to Trek, "you get the same great suspension feel of DRCV without the extra cost of a custom shock body. This cost savings allows us to offer our exclusive RE:aktiv damper on more models. As a result, the Fuel EX 8 and higher models in both wheel sizes will feature this unparalleled damping performance." We're happy to see the RE:aktiv dampers on more models, because the benefits it brings is instantly noticeable. Our Southern California test course offered the perfect terrain for the Fuel EX 29 to show off its bump-eating traction and nimble handling. The new bikes also see brand-new internal cable routing that Trek calls Control Freak cable management. The system consists of a number of different ports to accept cables, hydraulic lines and electronic wires, and utilizes an internal zip tie port on the bottom of the downtube to secure cables inside the frame. This bike is fast. For a 120-millimeter trail bike, it has a certain XC feel to it. There was some contention among testers on just where the Fuel EX 29 lands in the matrix, but everyone agreed that this 9.9 trim package, weighing in at less than 24 pounds, is a rocket ship. 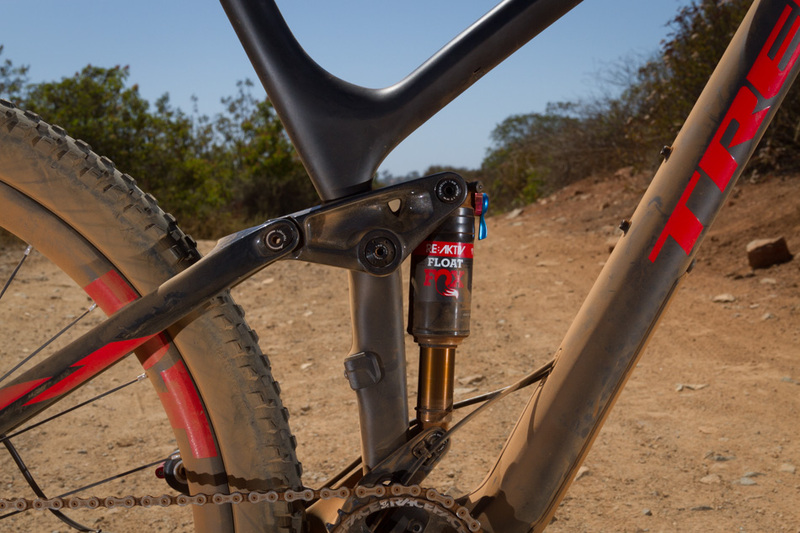 The RE:aktiv shock allows the rider to keep the shock in trail or climb mode with no sacrifice in downhill performance, giving the bike a nice stable platform to pedal on. Testers who hadn't experienced the speed at which the shock's valve opens were blown away with the bike's ability to smooth out the rough test course. But it's the ability of the shock to recover from this rapid ‘blow-off’ just as quickly that gives the bike its efficiency. The shock is continuously and variably adjusting its compression speed without requiring the rider to ever reach down to make adjustments. It's similar to Specialized's Brain shock, only instead of using an inertia valve that gets knocked open by impacts, it uses shaft speed to control oil flow. 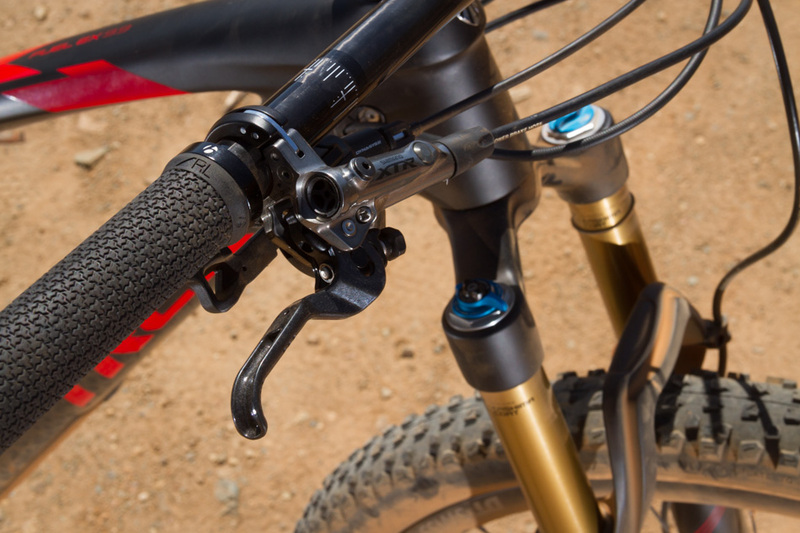 Pedaling forces exhibit low shaft speeds whereas rocks and roots exhibit high shaft speeds, allowing the shock to stay firm for pedaling but react to the trail at the same time. 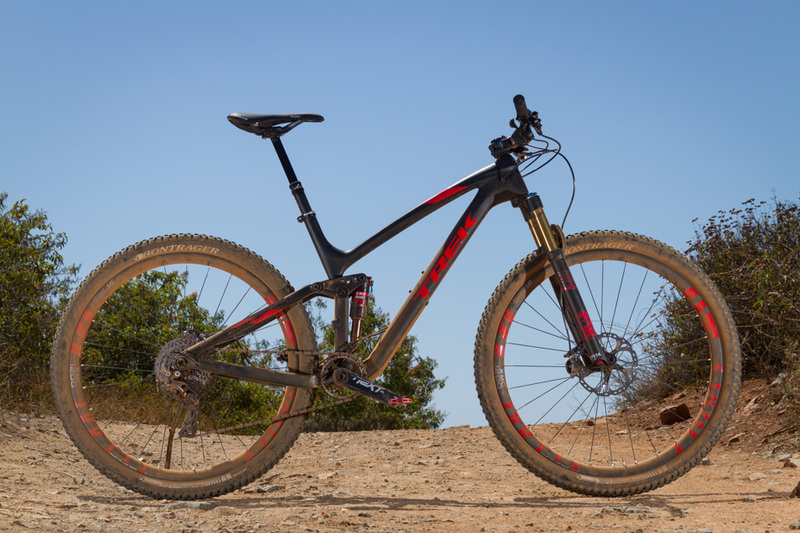 With its shorter chainstays, the 2016 Fuel EX 29 is even more capable than its predecessor. At just 17.2 inches, the chainstays are nearly the same length as the 27.5 Fuel EX, and testers definitely picked up on this. The benefits of the larger wheels were there without sacrificing the bike's ability to play around on the trail. Though we argued a bit over the overall capability of the bike, given its relatively steep head angle, we all agreed that this bike was a blast to ride. Trek opted to design the new Fuel EX 29 frames around a 120-mil fork, which felt good. 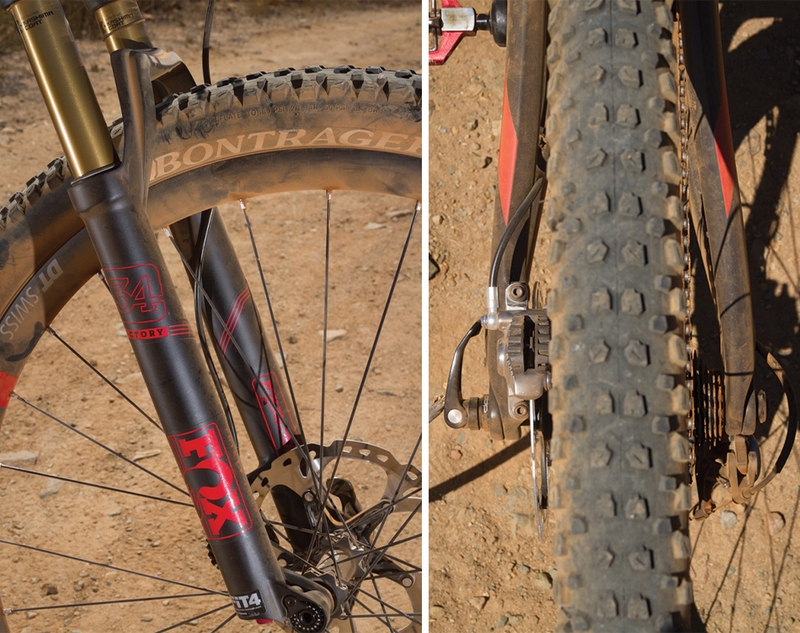 The new Fox 34 has a similar supple, bottomless feel of the RockShox Pike, but weighs about a half pound less. 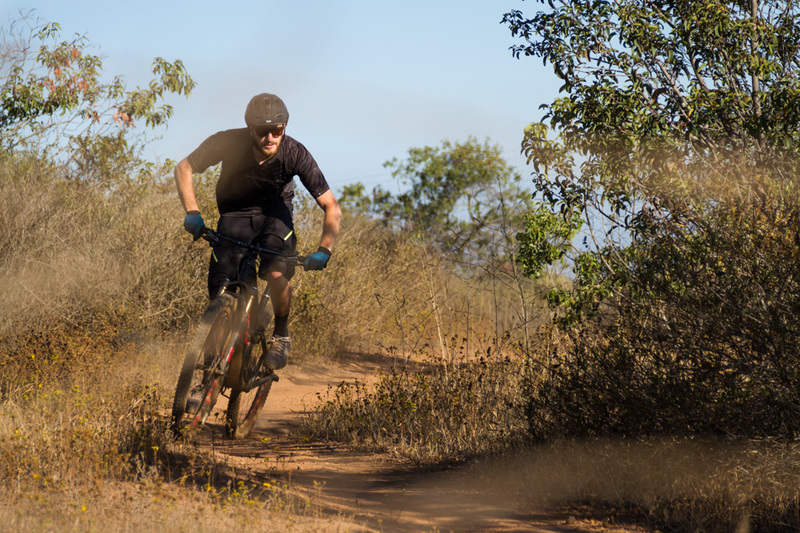 The stiffness of the 34 and Boost 110 spacing up front definitely gives the EX extra security when the trail turns downhill and the bike retains its quick-handling nature with the 68.8-degree head angle. 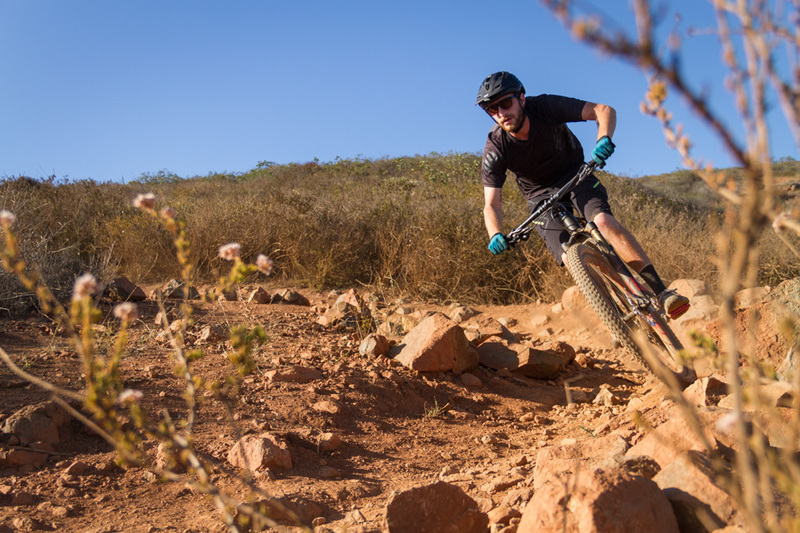 Some testers felt that the bike lacked the ability to handle extremely steep terrain, while others felt comfortable riding just about anything. This simply comes down to rider preference. In an unusual choice, Trek opted to get rad with an extra 10 millimeters of travel on one trim level: The aluminum-framed EX 9 is ready to brawl with a 130-mil Fox 34. Trek’s geometry charts don’t specify how much this changes the head angle. Could we feel the Boost? It's hard to say. Yes, the bike felt stiff in all the right places, but we also were rolling on a set of high-end carbon wheels. Where Boost really shines is on the spec that normal people can afford. There's no doubt, however, that the 110 front spacing increased steering response. The Boost 148 rear spacing is about the whole system, not just increased stiffness. It's a system that allows bike manufacturers to make the bikes we love to ride–short stays, large volume tires and strong wagon wheels–without changing crank arm spacing. We could feel stiffness of the 110-spaced fork more than the rear, but the Boost rear is what allows the geometry that makes the Fuel such a fun bike to ride. Most of us won't be riding the $8,800 9.9 trim package, but the other Fuel EX 29 models offer great options as well–perhaps even better. Our test rig sports precision shifting with Shimano's new M9000 XTR, but the 11-40 single ring setup doesn't offer the same range that SRAM does with the 10-42 cassette on its singles. The Shimano setup has smaller jumps between gears, making it more likely to find the perfect cadence, but within a smaller window. The Fuel EX 9.8 29 has a Shimano XT double drivetrain, offering enough gear range for any terrain, at $3,200 less than the 9.9. Testers all agreed that considering the take-it-anywhere nature of the Fuel EX 29, we'd prefer wider range over closer shift ratios. With the XT double, you get both. If you've got a lot of money and huge legs, the 9.9 is an unbeatable option, but everyone else will be looking at other models. Or, if you're as picky as some of us are here at Bike, you might want to do a custom build–for $3,470 you can get a Fuel EX 29 carbon frameset. Starting in August, Trek will include the EX in its Project One custom build program as well. The 9.8 is a fantastic build, but $5,500 is still a lot to spend on a bike, which is why Trek built an aluminum frame with all the same upgrades. Two models, the Fuel EX 9 29 and Fuel EX 8 29, will be available with the aluminum frameset, and will sell for $4,200, and $3,050, respectively. 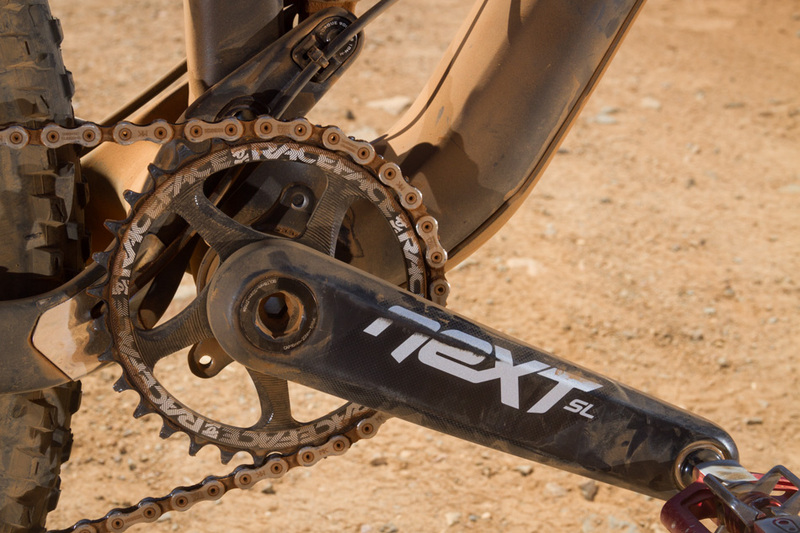 If you’re looking for a SRAM single ring drivetrain, you’ve got one option: the aluminum EX 9. Between that and the extra travel up front, we expect the EX 9 to be hugely popular bike. The 9.9, 9.8 and 9 models all get the RE:aktiv shock we love so much, along with RockShox Reverb droppers and Fox 34 forks. The EX 8 also gets the Re:aktiv shock, but runs a KS dropper and Fox 32. 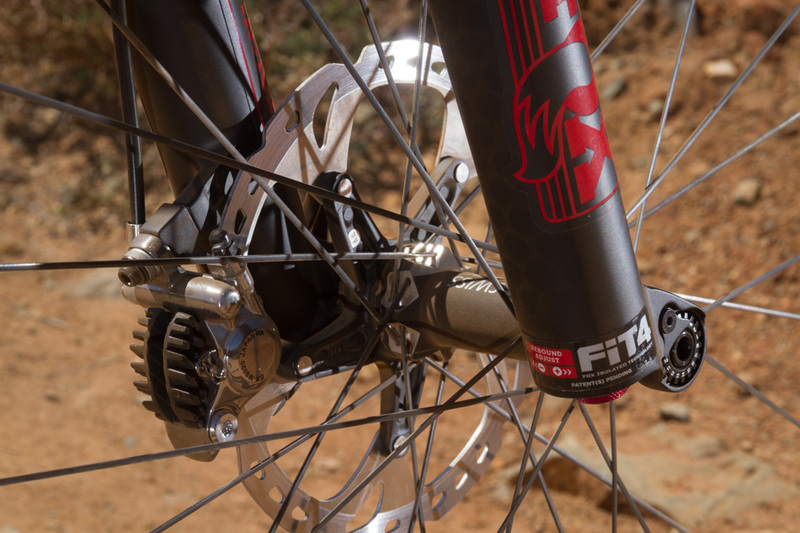 The aluminum Fuel EX 8 costs $3,050 and still comes with Trek’s RE:aktiv shock, a Fox 34 fork and Reverb dropper post.